Details on how to win a copy of this book at the end of the review & links to purchase it. Deceit, lies, secrets, regrets, theft, and greed lead to murders, old and new! 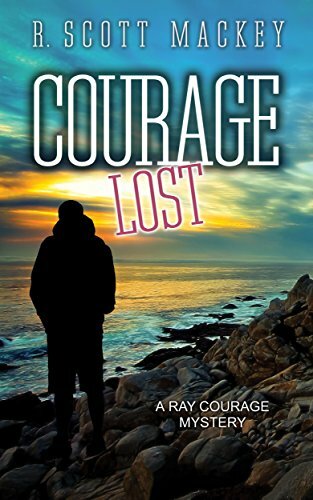 Meet Private Investigator Ray Courage. He has been hired to find the estranged son of Isabella and Wyatt Carlyle. The billionaire couple lost track of him twenty years earlier after a major falling out. Ten years later they tried to find him, with no success. Now that Isabella has only a couple of months to live, she wants to reconcile. They have had the family lawyer bring Ray to meet them and discuss taking the case. He is hesitating, especially when Wyatt privately confides that the son stole five million dollars from his parent's bank accounts when he took off. Arriving for a second meeting with the lawyer, Ray is startled to find a crazed man shooting another of the lawyer's visitors right in the office. This detailed and intricate mystery takes us from Sacramento to Monterey, California. Ray follows leads that take him to an art gallery, a bar, a meeting with a seedy widow, and a side trip to Honduras on behalf of another frantic mother missing a son. The characters are totally believable and come alive on the page. The plot is well constructed with twists, turns, red herrings, and dead ends. If you enjoy a classic PI story, this is a book you will enjoy reading. I liked that the dialogue was crisp and moved the story right along. The leads kept you guessing while giving you subtle clues, and the characters were front and center without overshadowing the storyline. There wasn't a lot of profanity or rough action to detract from the story, just good old fashion legwork and detecting. I am going to be reading the earlier books in this series, as this one reminded me so much of PI book series from the 60s and 70s, which I considered some of the best in this genre. To enter to win either an ebook or print copy of Courage Lost, simply email KRL at krlcontests@gmail[dot]com by replacing the [dot] with a period, and with the subject line "courage,” or comment on this article-please state whether you want print or ebook. A winner will be chosen January 27, 2018. U.S. residents only. If entering via email please included your mailing address. Doward Wilson is a retired and avid cozy, paranormal, and adventure reader who can’t say no to most books. He recently moved from Independence, Missouri to Gladbrook, Iowa. Located in Central Iowa, Gladbrook (population 900+) is small town, rural farming at its best. Disclosure: This post contains links to an affiliate program, for which we receive a few cents if you make purchases. KRL also receives free copies of most of the books that it reviews, that are provided in exchange for an honest review of the book. Sounds like a great read. New author to me. Check out our other website, follow, like & subscribe! KRL Adoptable Cat Meet Candy Bar. She is a 4 year old female, short-haired kitty, who likes other cats, and even dogs! She is also great with kids. 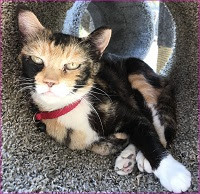 Candy is fully vetted, and was rescued from CCSPCA If you've fallen in love with Candy, she is available from Feral Paws Rescue Group in Fresno.